Board games - An ideal feature for your game nights. Checker board theme decal to place on your game table. Part of our furniture stickers collection. Available in various sizes. For a stronger laminate surface protection contact us at info@tenstickers.co.uk. Chess has continued to be one of the best indoor games for centuries. And how can we forget about checkers, which happens to be one of the most entertaining indoor games? Now you can play these games on your table without ever having to worry about looking for a board. No, we aren’t joking. Our chess and checkers board sticker comes in various sizes. This easy-to-apply vinyl adhesive is equally easy to remove and does not leave any residue thereafter. 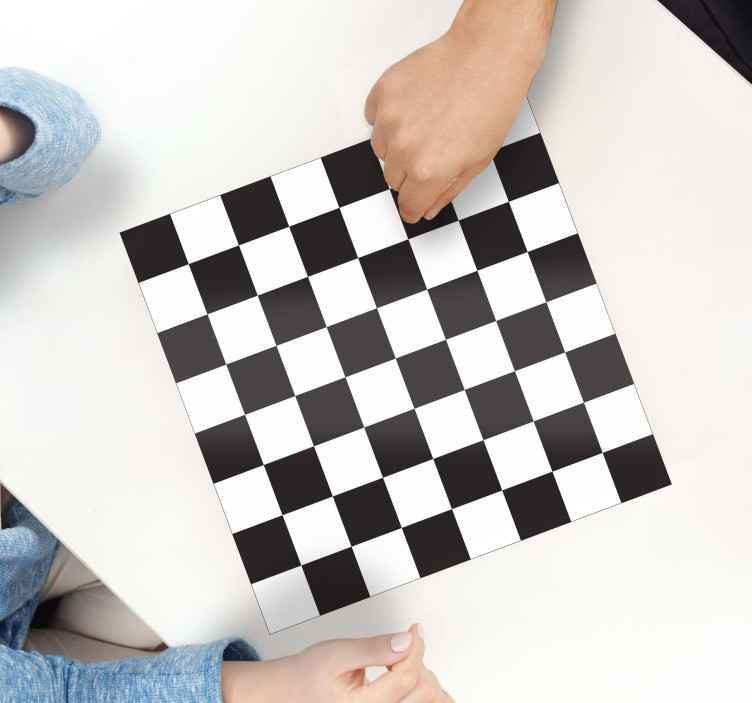 Paste it on a table, enjoy an enthralling game of chess and remove it if the need arises. See the tension rise as a nerve-racking game with your sibling or friend nears its climax on this sensational sticker.